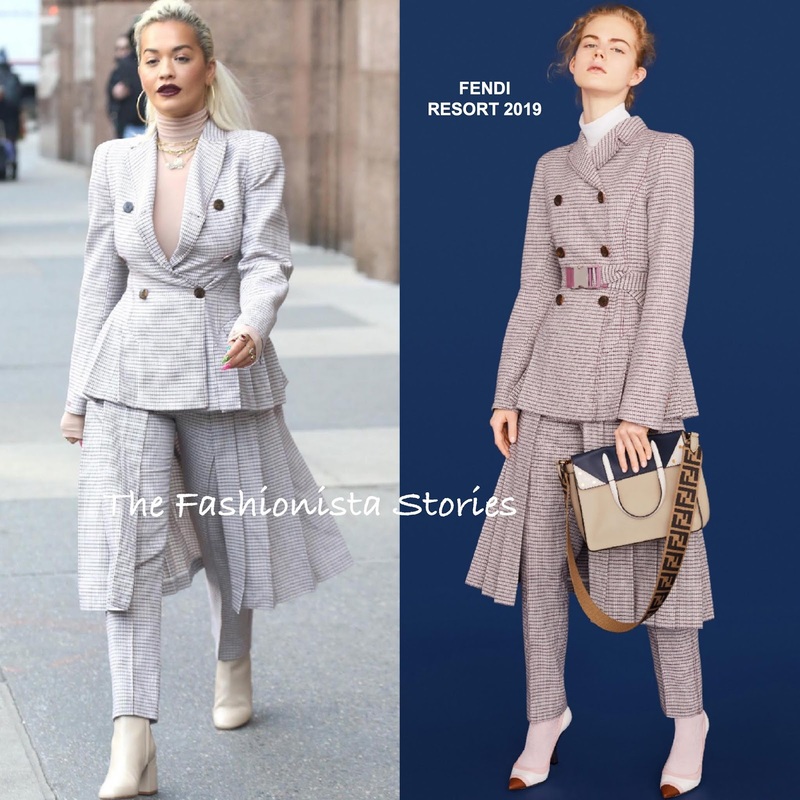 Following Jimmy Fallon, Rita Ora was spotted leaving the Music Choice studios in New York yesterday(January 17th) following the promotion of her new album. For this outing, she opted for a FENDI RESORT 2019 plaid suit. The female power suit is a big trend but this is a more refreshing approach to the look. What makes it fun is the pleat, skirt ankle length trousers. In the look book, the jacket was belted at the waist but Rita didn't need it. Instead of wearing pumps or sandals, Rita opted for stacked heel boots. Accessorized with gold jewelry, she finished up with a vampy lip and a ponytail.